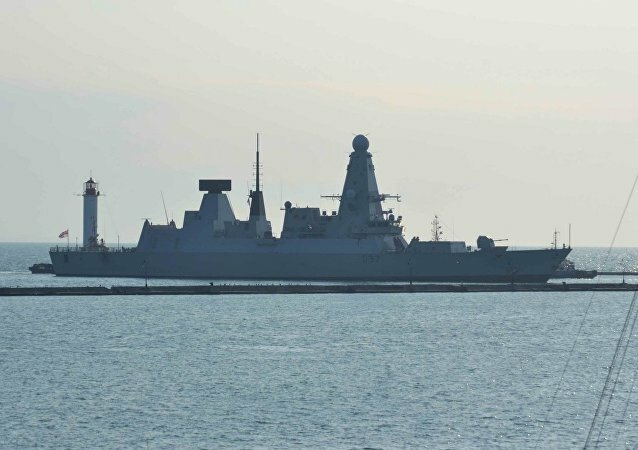 In recent months NATO has been increasing its activity in the Black Sea near the Crimean Peninsula, Radio Sputnik's contributor Sergei Ilyin notes, outlining apparent reasons behind the bloc's especial focus on the region. According to the journalist, Moscow has enough options to respond to any potential provocations near its borders. Ukrainian Interior Minister Arsen Avakov believes that the 2014 Minsk Agreements to enforce a solution to the crisis in the country's eastern regions are not working, and has called for a new format to be put in place. Kiev, backed by Washington, has already mobilized its military forces for an all-out war against Donbass, US author Stephen Lendman stresses, adding that President Poroshenko has proliferated numerous Big Lies about the Ukrainian civil war since taking office last year. The EU and the US have become disillusioned with Ukraine’s leadership over its inability to fulfill its commitments with regard to the conflict in the country's southeast, head of the foreign affairs committee of the lower house of Russia's parliament Alexei Pushkov said in an interview with the Izvestia newspaper. Contrary to the Minsk agreements, Ukrainian government tried to exclude the representatives of the self-proclaimed Donetsk and Luhansk people’s republics from the contact group on Ukrainian reconciliation, Russian Foreign Minister Sergei Lavrov said Friday. NATO Supreme Allied Commander Gen. Philip Breedlove claims that independence fighters of the self-proclaimed people's republics of Donetsk and Luhansk (DPR and LPR) in southeastern Ukraine are under Russian command. 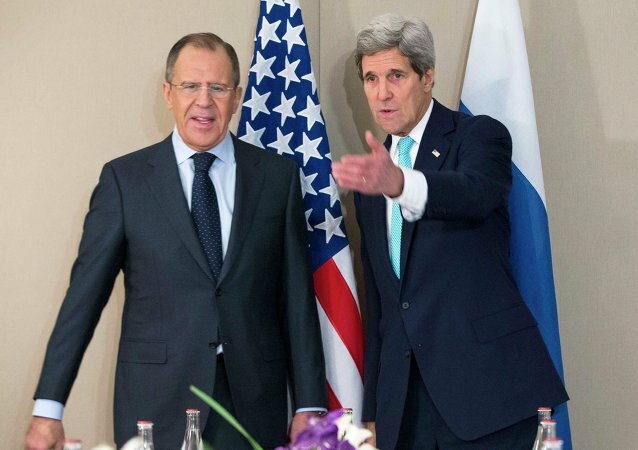 Russian Foreign Minister Sergei Lavrov and US Secretary of State John Kerry discussed Wednesday in a phone call the progress in Ukraine reconciliation talks and urged a prompt launch of the sub-groups in the framework of the Contact Group on Ukraine. Ukrainian Deputy Foreign Minister Vadym Prystaiko said that Ukraine considered maintaining dialogue with 'illegitimate authorities' of Donbas had no political sense. Russian Foreign Minister Sergei Lavrov stated that Moscow will not allow anyone to rewrite the February 12 Minsk agreements on Ukrainian reconciliation. 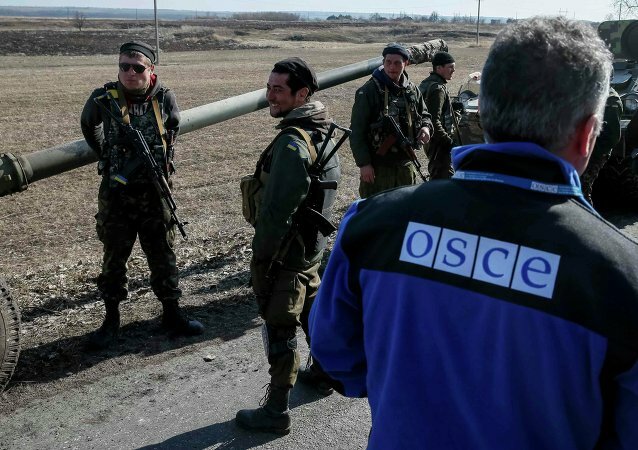 OSCE Secretary General Lamberto Zannier said that OSCE faces blockages from the both sides of the Ukrainian conflict during their monitoring mission in the country. Ukrainian Foreign Minister Pavlo Klimkin said that Kiev was ready to come to peace in Ukraine. According to France's representative, members of the European Parliament proposed Wednesday to hold an international forum in Donetsk in May to discuss the future of east Ukraine's self-proclaimed Donetsk and Luhansk people's republics. 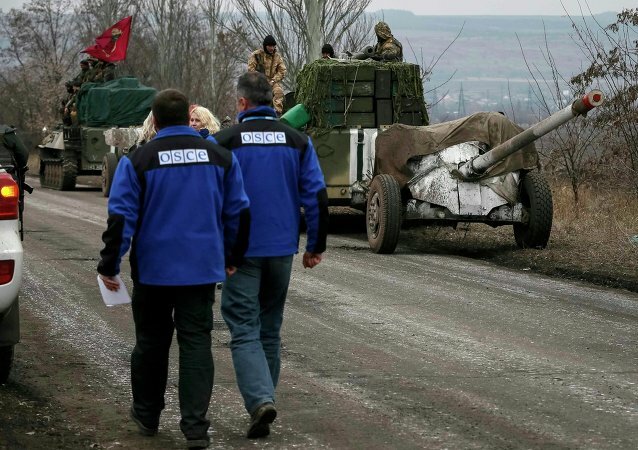 According to Luhansk People's Republic negotiator Vladislav Deinego, the OSCE Special Monitoring Mission has recorded the withdrawal process of heavy weapons in east Ukraine instead of their absence in the security zone. 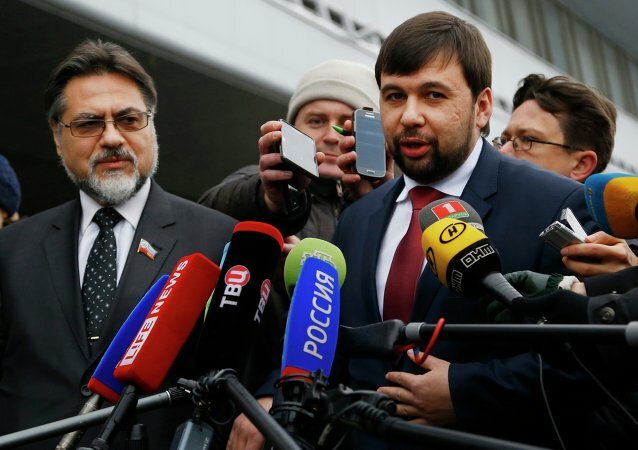 Contradictory statements by Ukrainian military officials point to a lack of a unified stance on the withdrawal of heavy weaponry from the frontline and may disrupt the current peace settlement, Luhansk People's Republic negotiator said Wednesday. 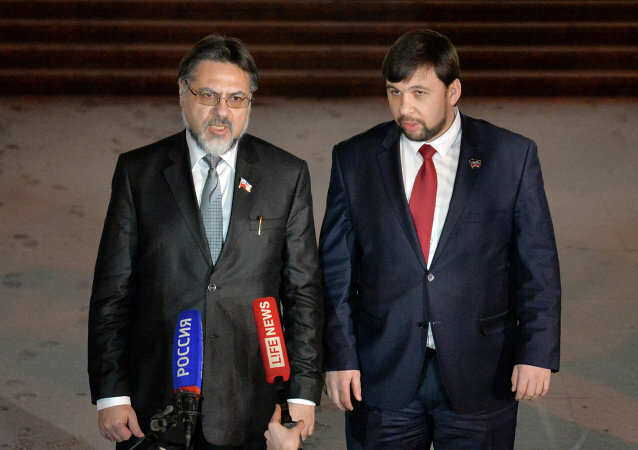 LPR negotiator Vladislav Deinego said that unwillingness of some members of the Ukrainian parliament to discuss local elections in Donbas with DPR and LPR violates the Minsk agreements. Russian Foreign Ministry spokesman stated that International monitors have no reason to request full information on weaponry withdrawals from eastern Ukraine's self-proclaimed republics of Donetsk and Luhansk. 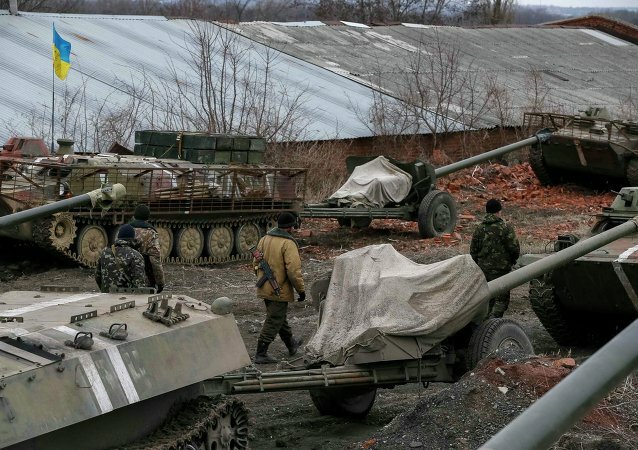 According to source familiar with the reconciliation talks, representatives from Kiev and the self-proclaimed Donetsk and Luhansk People’s republics have begun talks via a video conference on the withdrawal of heavy artillery in eastern Ukraine. 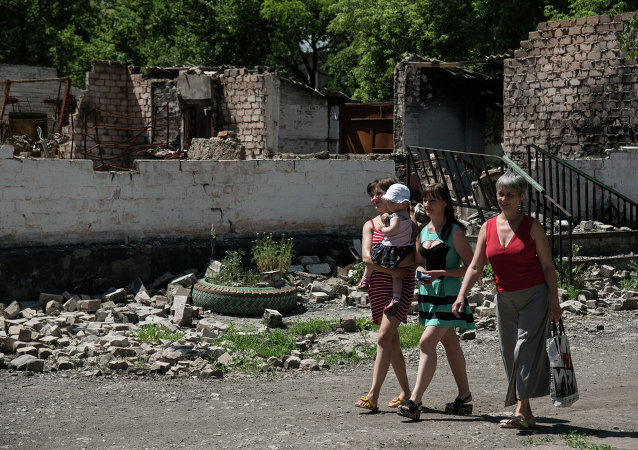 According to OSCE Special Monitoring Mission in Ukraine spokesman Michael Bociurkiw, the sides of the conflict in eastern Ukraine do not provide monitors with all necessary information. Advisor to the Minister of Internal Affairs of Ukraine Zorian Shkiryak stated that independence supporters in the country had fired the Azov battalion in Shirokino.